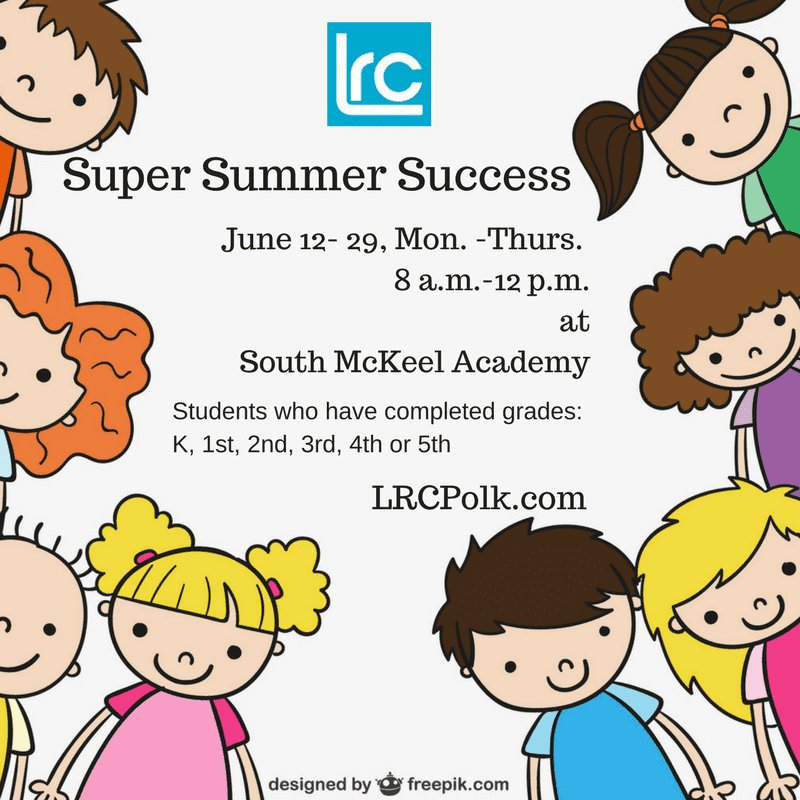 We are inviting all elementary-level students, grades K-5, to join us this summer for our Super Summer Success program. June and July are the perfect opportunities for students to brush up on skills and develop new ones before the next school year begins. 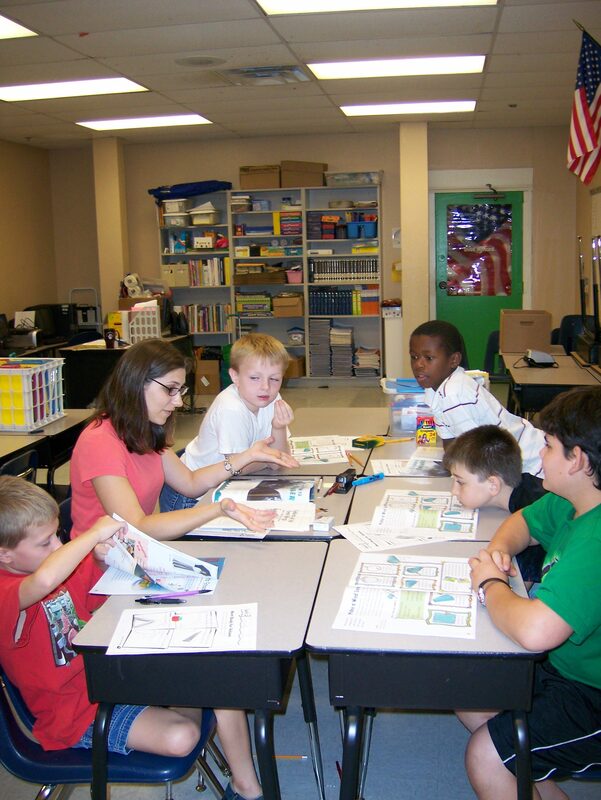 Super Summer Success offers students a fun way to gain those important skills in reading and math. This Learning Resource Center program builds confident, successful students through time-tested best practices! Students who have completed grades K, 1, 2, 3, 4, or 5 are invited to attend on June 15-July 9, 2015 from 8:00 a.m.-12:00 p.m. at Highland City Elementary. Students who attend will enjoy high-interest, hands-on lessons, explore math through writing and drawing, engage in cooking and creative arts projects, and participate in read-and-respond activities. Students will also create Make-and-Take Projects on key ideas, reinforce skills through interaction and review, and savor brain-healthy snacks to keep their energy up. The cost to attend is $395.00. Fee reduction is available based on gross annual household income. Be sure to ask about our sliding fees scale. To register, call 863-688-9477 or download the brochure when you click: 2015 Super Summer Success Brochure. LRC’s commitment to your child’s success ensures that your student will receive quality instruction from certified, highly qualified teachers in a small group setting of no more than 10 students per class. You will be glad your child participated in this rewarding experience, and we are sure he or she will be, too! Summer break has arrived! While many think of summer as a time when studies come to a halt and unbridled fun takes over, for us at the Learning Resource Center, it’s a period where knowledge, learning, application, and mastery are in full effect. We believe that learning can be enjoyable and that the summer months are a perfect opportunity for growth and educational gains, making it a great time to keep the pace going. Join us this summer in a program that fits your needs or the needs of your child. Choose from our summer schedule below. Please note that registration is not complete until the advance fee deposit has been paid. As LRC is a non-profit, United Way agency, all fees are calculated based on the gross, annual, household income. Please call LRC (863-688-9477)to find out what your advance fee deposit will be. 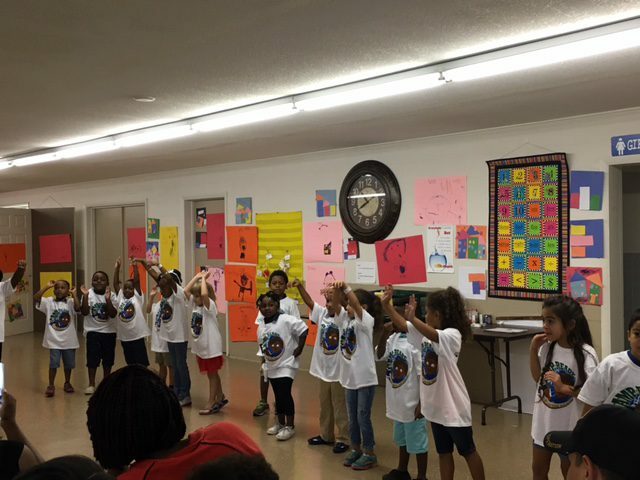 This successful summer program prepares rising and repeating kindergartners for academic success. Through hands-on, experiential learning centers, students experience learning that is FUN! With art, music and movement, cooking, and reading readiness centers, Camp READY! builds pre-reading skills while also providing a safety net to allow children more time to continue motor, social and cognitive development. On average, LRC’s Camp READY! students demonstrate growth of seven months from pre- to post-assessment. These camps are funded through the generosity of GiveWell Foundation, United Way of Central Florida, and Disney. Who: Students entering or repeating Kindergarten in August 2015. When: June 15-July 31, 2015 from 8:30 a.m.-11:30 a.m. (four weeks per location). Dates vary by site. Please see below. Super Summer Success builds confident, successful students through time-tested best practices! Students will enjoy high interest, hands-on lessons; explore math through writing and drawing; engage in cooking and creative art projects; create make-and-take projects on key ideas; reinforce skills through interaction and review; savor brain-healthy snacks to keep energy up. LRC’s commitment to your child’s success ensures that your student will receive quality instruction from certified, highly qualified teachers in a small group setting (no more than 10 students per class). Who: Students who have completed grades K, 1, 2, 3, 4 or 5. When: June 15-July 9, Monday-Thursday, 8:00 a.m.-12:00 p.m. When: Summer Course, July 13 – July 17, 2015 Monday – Friday, 9:30 a.m.-11:30 a.m. When: July 13 – July 17, 2015, 1:00 p.m. – 3:00 p.m. The ACT preparation course provides an efficient and effective 23-hour course designed to help students achieve their best possible score on the ACT. This course provides: small classes with highly-trained teachers; problem-solving strategies for analyzing and answering ACT questions; practice taking ACT tests; emphasis on test-taking techniques and strategies specific to the ACT that help build confidence and reduce test anxiety. July 20-23, 9:30 a.m.-12:00 p.m.
July 20-23, 1:00 p.m.-3:30 p.m. The SAT preparation course provides an efficient and effective 23-hour course designed to help students achieve their best possible score on the SAT. This course provides: small classes with highly-trained teachers; problem-solving strategies for analyzing and answering SAT questions; practice taking SAT tests; emphasis on test-taking techniques and strategies specific to the SAT that help build confidence and reduce test anxiety. * Cost of course includes the SAT book. Critical Reading: 1:00 p.m.-3:30 p.m.
For more information, please call the Learning Resource Center at 863-688-9477.